We're proud to be a community partner for the Calgary International Film Festival's Music On Screen Series with the riveting new documentary, Muscle Shoals. 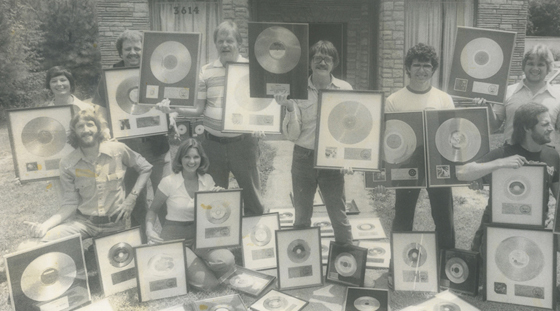 The film documents the rise of FAME Studios in Muscle Shoals, Alabama, a small, otherwise nondescript Southern US town. With a white hot rhythm section and a penchant for recording hits, the town quickly rose to be one of the most influential in rock history, seeing recordings from everyone from Aretha Franklin, The Rolling Stones, Wilson Pickett and Lynyrd Skynyrd! Learn all about the legendary Muscle Shoals sound through interviews with Clarence Carter, Greg Allman, Mick Jagger, Alicia Keys and music-doc mainstay Bono at one of its two screenings - Friday, September 20th or Sunday, September 22nd!